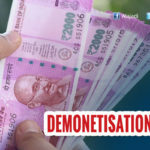 The opposition’s allegation of two types of 500 rupee notes printed by the Reserve Bank of India (RBI) provoked a huge row in parliament today and also forced an adjournment in the Rajya Sabha. The Congress, displaying images of two Rs. 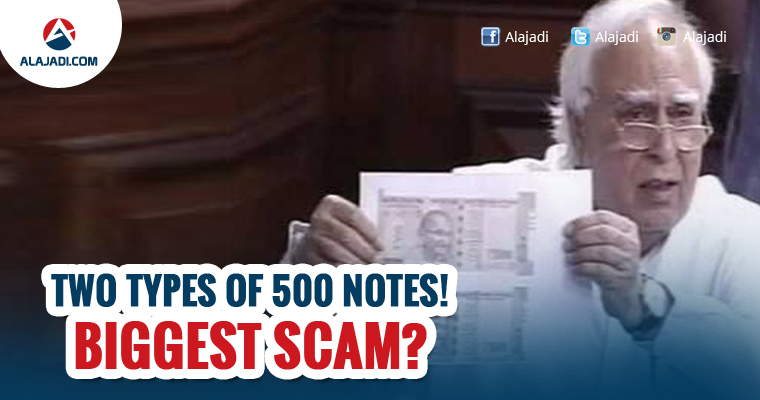 500 notes in the Rajya Sabha and claiming they were of different sizes and designs, alleged the biggest scam of the century. Today we have discovered why the government took the demonetisation decision. The RBI prints two types of currency notes. These are of different size and different design… how is it possible? questioned Congress leader Kapil Sibal, waving a placard with the two notes. We never printed two kinds of notes, one for the party and one for the government – there are two kinds of Rs. 500 notes and two kinds of Rs. 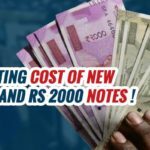 2,000 notes, his colleague Ghulam Nabi Azad alleged. Finance Minister Arun Jaitley accused the Congress of making “irresponsible statements” and raising frivolous subjects in the house. There is no such provision where you flag any paper and say it’s a Point of Order….irresponsible remarks are being made about the currency… Zero Hour is being misused, said Mr Jaitley. Trinamool Congress leader Derek O Brien backed the Congress and said: Look at the notes. Mr Sibal has raised a serious issue. Janata Dal United leader Sharad Yadav and Samajwadi Party’s Naresh Agrawal also backed the Congress. 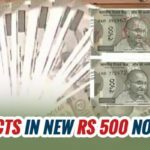 Union Minister Mukhtar Abbas Naqvi questioned the source of the notes. Mr Jaitley later said he would verify the authenticity of the notes. Given such a big print run there can be an odd case of a currency note being slightly bigger or not. 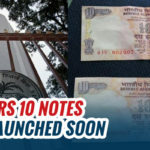 Finance Ministry sources say a slight variation in size and design of notes is possible and stress that the government has never asked for two different sets of notes to be printed. Different printing presses might have a slight variation in size and design. This does not mean there are two different sets of bank notes, said the sources.